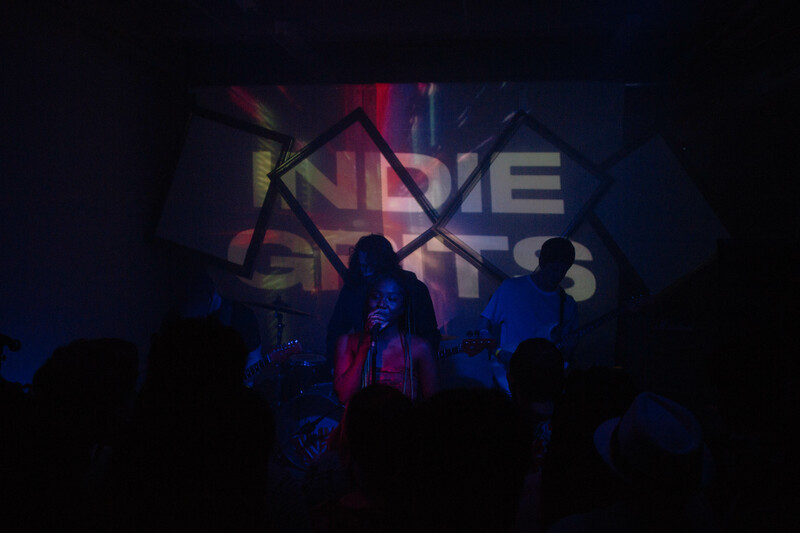 Indie Grits has experienced some growing pains over the years and searched for a consistent identity, but it’s never lacked in the quality of art and entertainment it provided. Having just wrapped up its 12th year, Indie Grits is starting plant roots and continue to build the brand. Gone are the days where they looked forward to a new theatre, they have it and its been center to not only the growth of the festival, but the growth of the entire Main Street District. Now with a headquarters located off North Main, their brand looks to lend a hand in reviving another area of Columbia, along with shaping the future with their education programs, along with supporting Southern film makers and artists. “The Indie Grits Festival is a four-day event that celebrates gritty, contemporary culture of the South through film, art and music.” The mantra repeated before each film this year helped the audience understand the new Indie Grits Festival. This year especially the films and music matched that gritty Southern culture. Local acts like King Vulture, Danger Boy, Boo Hag, H3RO, 2 Slices, Fat Rat, Niecy Blues, ET Anderson and Dear Blanca shined, while some of the out-of-town acts maybe didn’t have the crowd they deserved, but performed like they did and made the best out of their crowd situation. Nashville’s Daddy Issue’s surprisingly had one of the most energetic crowds of any of the non locals, even relearning an old song as their encore per request. Making it to the first showing of most movies can be tough with the hours they’re showing, or the fact that some are overlapping, but I’ve found that a one day binge session of movies on Sunday is one of the best ways to enjoy films at the festival. This year I was able to see three features along with a host of shorts. There have been several times in the past where I’ve left feeling that I just saw something special, or something that would change my own views. This year The Well-Placed Weed: The Bountiful Life of Ryan Gainey was that film. A documentary about a gardener from rural South Carolina who becomes one of the most celebrated gardeners of the past 3 decades. He does it by being completely himself, a genius unlike any other with an amazing story, told over what ended up being the last decade of his life. Farmsteaders showed the struggle of modern-day dairy farmers. It was a look back in time where children played a major role in the family farm dynamic, without there help it would seem impossible to survive the way they do. Both parents are worked to the bone, exhausted, seemingly always worried about money and ends meet. The kids, especially the youngest boy nearly stole the film, and helped the audience relate through youthful unfettered eyes. White Rock Boxing told the story about the boxing gym just outside of Columbia where professional boxers come through on their way up. This documentary fought the stereotypes of the sport and worked to open up a side of boxing that many people see. I’m not sure it changed minds, but it did open them. This year’s Indie Grits felt very well put together, but I wouldn’t go so far as to call it the best one yet. Tapp’s was a huge asset, to have three venues all in one with bands overlapping felt good, and made the building come alive. The big stage in the upper main room of Tapp’s was great, making the room feel totally different and better. The bad weather Sunday was a huge bummer, but Music Farm came through to help save that event. I missed out on Sunday dinner for films, but would more likely have chosen the Sunday lunch if it went off as planned. I really missed the outdoor events year, especially since the whether was so great except Sunday. The opening block parties that have happened several times were always one of my favorite events. The music was stellar again this year, but I feel it kind of got lost in the pre coverage that the music lineups are great every year. 30 bands are more than they’ve had in the past, but not that many more. It feels like Indie Grits has figured out the formula for success at this point, with four action packed days with a variety of events collaborating with other local groups passionate about the arts. Collaborating is what works, and what helps open the festival up.